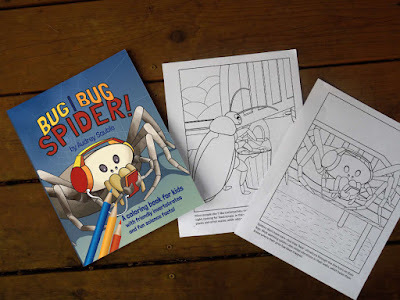 In the end, a couple of my early coloring pages did make it into Bug, Bug, Spider, but my original flying ladybug? She turned into a ladybug on a hang-glider! You’ll have to get the book, though, to find out more about her and the other bugs! Want a preview of my coloring book? Sign up for my newsletter, and I’ll send you a set of coloring pages and activities. You can also check out the other coloring pages I’ve posted here on my blog. 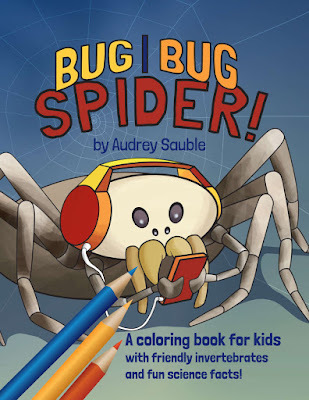 Or, you can get a copy of Bug, Bug, Spider! from Amazon (affiliate link). What large invertebrates are slugs related to? Do ants work all the time? What do centipedes eat? Learn about bugs and more with this entertaining coloring book! From a skateboarding snail to a not-so-busy ant, Bug, Bug, Spider offers an original collection of fun, engaging creepy-crawlies, along with interesting science facts for kids. 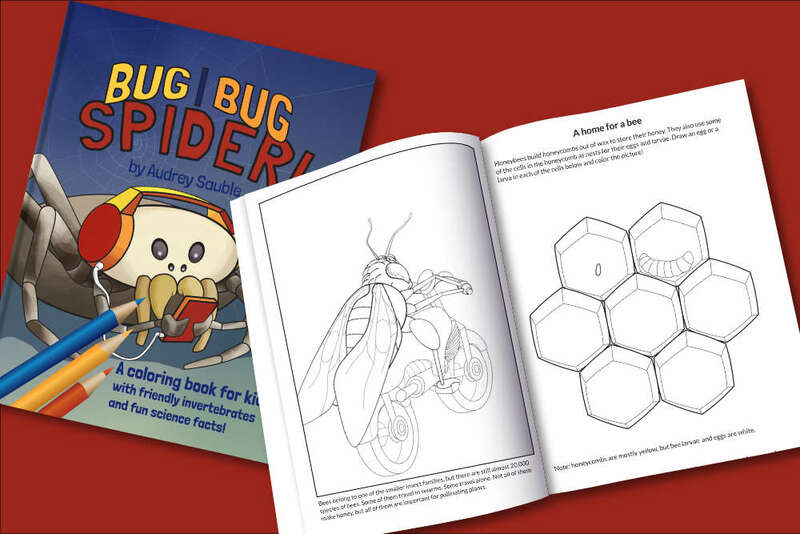 With a month's supply of coloring pages, plus extra activities and craft ideas for learning about flies, butterflies, crickets, grasshoppers, spiders, gastropods, and more! *As an Amazon Associate I earn a small fee from qualifying purchases. I use affiliate links only for linking to my own books, and there is no additional cost to purchasers. Thank you, Amy! I'd love to hear what you think!